I have a feeling that when I start my pastry arts program in the fall, I’ll realize that there’s probably more to crème brûlée. For now, this recipe will suffice. It’s quick and easy, made from very few and simple ingredients. I experimented with different dishes, because lets face it, ramekins are soooo 1996. 2. 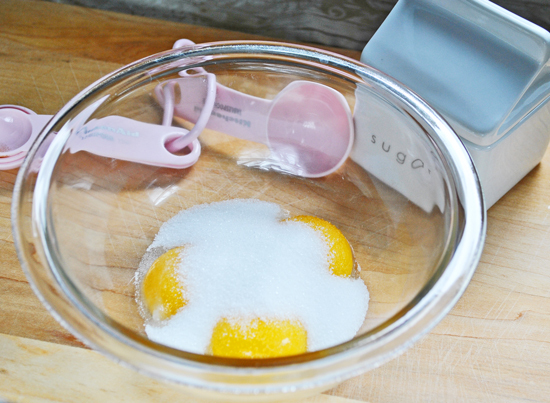 In a mixing bowl, whisk sugar, vanilla and egg yolks until combined, and set aside. 3. In a saucepan, heat cream over medium heat. Make sure you stir constantly, because cream tends to burn quite easily. Remove from heat just before it reaches a boil. 4. Gradually combine egg mixture to the cream. 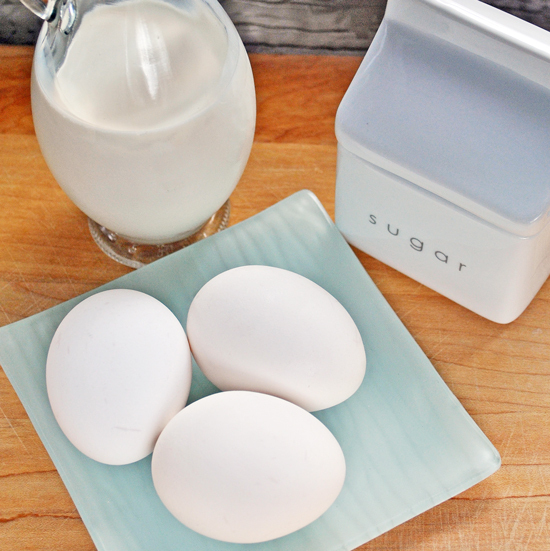 Essentially, you want to add the egg mixture to the cream, but if you do it all in one shot, you’ll cook the eggs and get a scrambled egg concoction. To prevent this, add one table spoon of the cream to the egg mixture and stir. You’ll want to repeat this step a few times until the egg mixture is warm enough so it won’t cook when you add it to the cream. 5. Return the saucepan back to the stove, and stir over low heat until mixture lightly coats the back of a spoon; approximately 5 minutes. 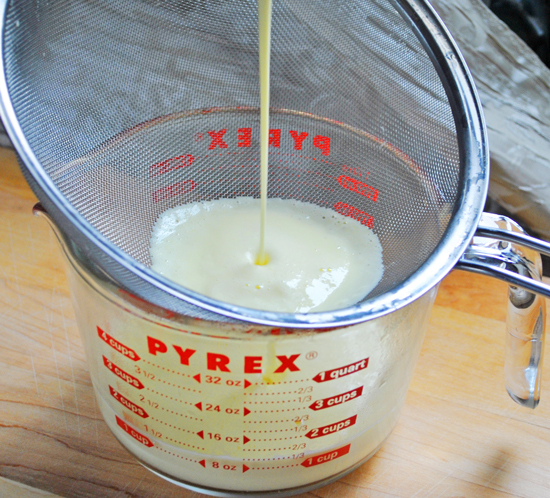 6.Remove mixture from heat immediately, and strain through a sieve to remove any foam. Pour into shallow, heat-proof dishes. 7. 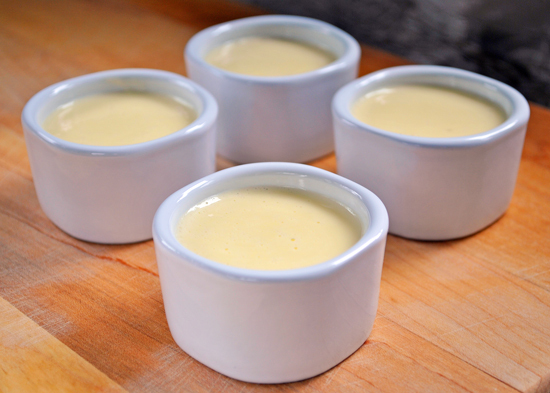 Pour the hot mixture into individual serving dishes or ramekins and place in a baking dish. 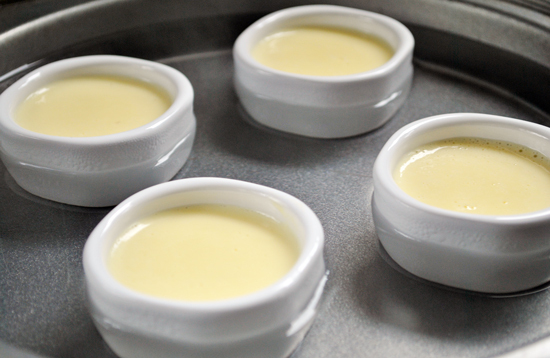 Set the dish with the ramekins on your oven shelf, then pour hot water in the dish so the water comes halfway up the sides of the ramekins — this will help cook the custard evenly. Bake for 20-30 minutes; you know they are done when you shake the dish gently, and the brulees jiggle slightly in the middle, but the edges are firm. 8. Remove from oven and let the brulees cool in the water bath for about 15 minutes, then remove and put the brulees in the refrigerator to chill. 9. Finally, the fun part: just before serving, sprinkle the tops with white granulated sugar and shake off the excess. 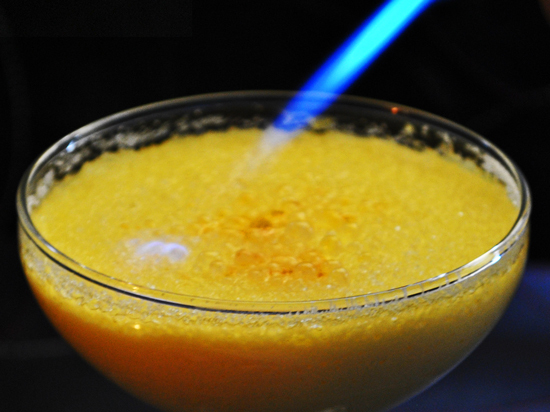 Use a propane torch to burn the tops and serve immediately. I love Creme Brulee. I know I'll never make it despite how simple this step-by-step instruction makes it seem. Thanks for making me hungry though! looks awesome! i love all your little cups and rad plates and whatnot. That mug is awesome! I heart creme brulee! I don't have the little torch thing but maybe I can still make it work. Yum! those are beautiful creme brulee!! I can't imagine them getting any better, even after school! 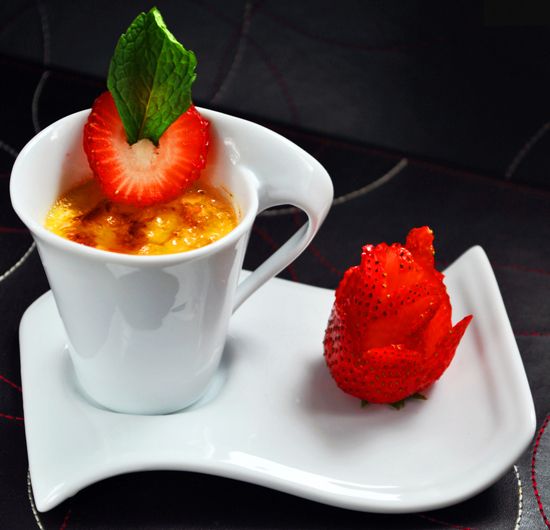 never try creme brulee before, I must try one day since you sharing the detail steps on how to make this. Thank you so much. 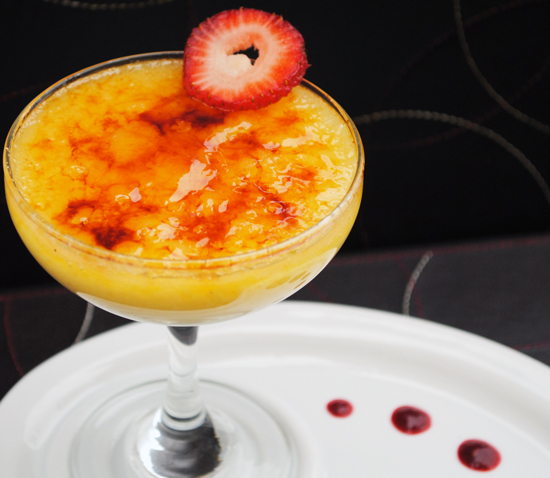 Creme brulee really IS that easy. One of my fave desserts to make. For those who are still unsure whether they want to try making creme brulee from scratch, Inspired Cuisine makes a really good mix. It's easy & takes about 10 minutes of prep time. And, you can make the crispy top under the broiler, instead of with a torch. I LOVEEEEE Creme Bruleee!!! I love your pictures! They look awesome!